On income tax day I am reminded that while people say money talks, mine seems to go without saying a word. Did you ever notice: when you put the two words “The” and IRS” together, it spells THEIRS”? You know what a red flag is to the IRS?—If you have money in your bank accounts after taxes. The difference between death and taxes is that death does not get worse every time Congress meets. Heartwarming and humorous, this tribute to moms of the world gathers the best things anyone ever said about motherhood. From Dolly Parton to Dear Abby, women (and a few men) crack wise on the subject of the center of every family, mommie dearest! 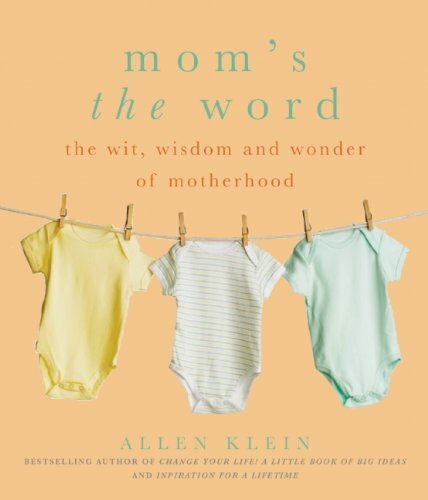 Mom’s the Word celebrates all motherhood with wise and witty words from the famous (Oprah Winfrey: "Mothers are really the true spiritual leaders.") 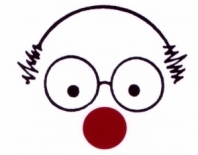 and the funny (Erma Bombeck: "In general, my children refuse to eat anything that hasn't danced on television. ").